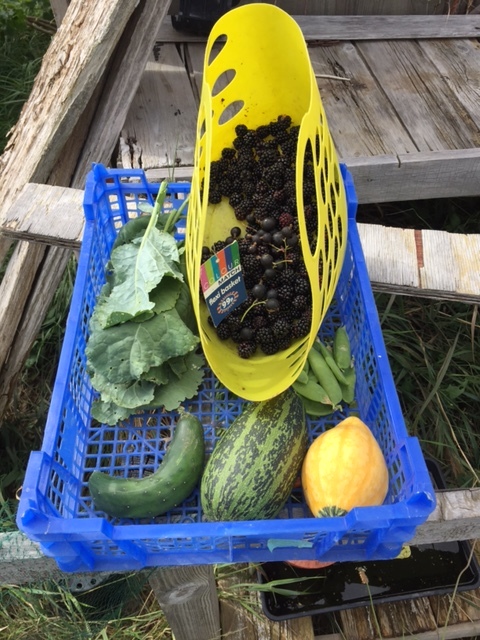 Blaugust Day 5 – August begins and with it harvesting! 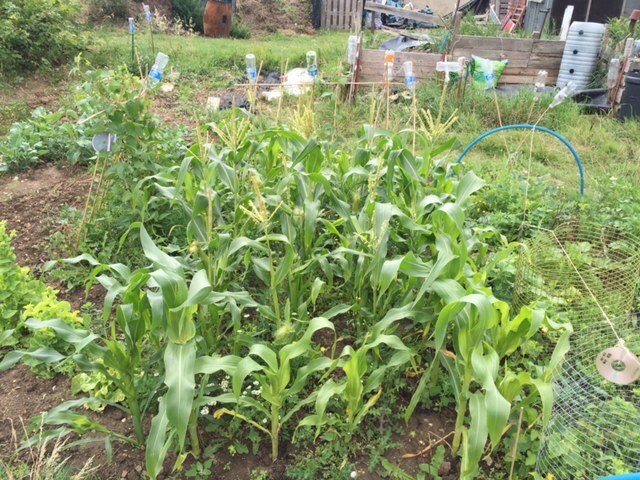 Despite some odd weather patterns here in the suburbs of London, the allotment is starting to produce in abundance. My Jostaberry bushes still have plenty of berries, but honestly I’m tired of picking them and the plucking off the stalks before freezing. So far I estimate I’ve had 8 kilos of the things and have made cordial, smoothies, crumble, ice-cream, frozen yoghurt and jam and still have plenty of bags full left in the freezer. 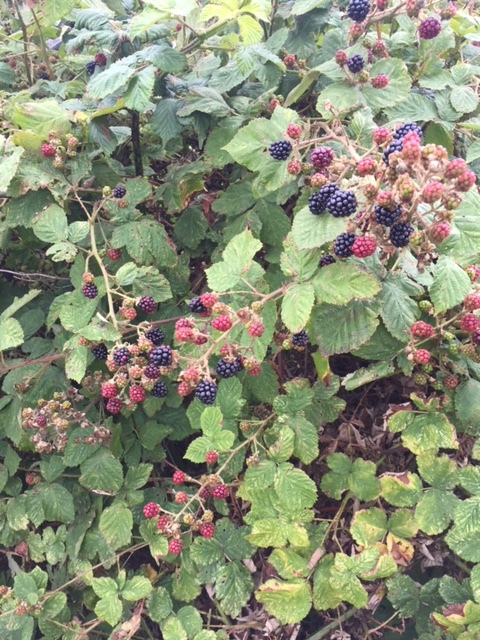 The rest will have to be for the birds, mostly because now I have something new to pick – Blackberries! I was excited to see my plot had some established blackberry bushes. Year on year I collect them wild, to freeze for crumble through the year and they make delicious pies and crumbles with a few apples. The squash plants are doing well, despite periods of drought, and I’ve already had two delicious fruits off them. The cucumber plants are also doing really well. 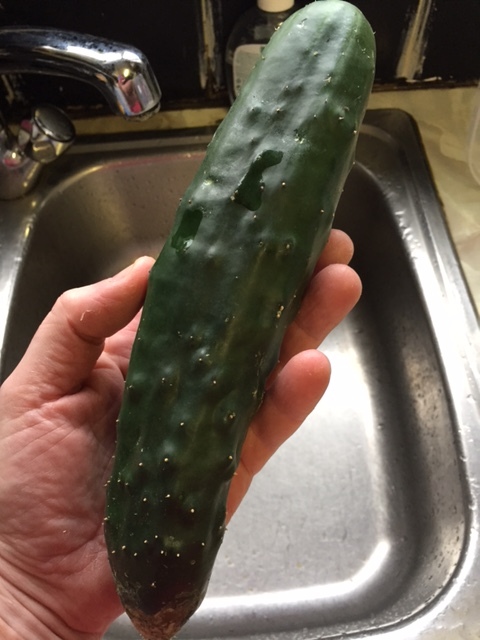 Two plants in a tub at home have already given us two decent sized cucumbers with more growing away nicely. At the allotment I have several in the ground which are doing less well but time will tell. Tomatoes at home are flourishing. Lots of cherry tomatoes forming, though nothing has ripened yet. At the allotment, the tomatoes I started later in the greenhouse are catching up and have just started flowering, as have the chilli plants. My experiment with Cucamelons doesn’t seem to have worked. The plants are barely growing, either outdoors or in the greenhouse. Not sure what I’m doing wrong but maybe it’s just not been consistantly hot enough. Beans have given mixed results this year. Borlotti beans haven’t done especially but the French beans have been excellent and the plan to grow some in hanging baskets, inspired by my dad, was great. Sadly his own haven’t done much at all. Blaugust Day 5 – August begins and with it, harvesting!